WHAT ARE ANNUAL CATCH LIMITS? An annual catch limit (ACL) is a level of catch intended to ensure overfishing does not occur. ACLs are set less than or equal to the Overfishing Limit (OFL) and Acceptable Biological Catch (ABC). An OFL is an estimate of the catch level above which overfishing is occurring, while the ABC is the maximum level of catch allowed and accounts for scientific uncertainty in the OFL. ACLs are set higher than the Annual Catch Target (ACT). The ACT is a level of catch set to account for management uncertainty. This tiered system (see Figure 1) is designed to prevent overfishing a stock. ACLs and ACTs are expressed either in pounds or numbers of fish. Figure 1. Illustration of the tiered approach towards establishing the overfishing limit (OFL), acceptable biological catch (ABC), annual catch limit (ACL), and annual catch target (ACT). If an ACL is exceeded, accountability measures (AM) are triggered. An AM is a management control intended to prevent ACLs from being exceeded, and to correct or mitigate overages of the ACL if they occur. AMs can be implemented in-season or postseason. AMs may include regulatory changes such as a quota closure, a reduction in the next year’s ACL, implementation of a closed season, modifications to bag limits or trip limits, etc. WHY WERE ANNUAL CATCH LIMITS IMPLEMENTED? The Magnuson-Stevens Reauthorization Act of 2006 established new requirements to end and prevent overfishing through the use of ACLs and AMs. Implementation of ACL/AM provisions were required in 2010 or earlier for stocks subject to overfishing, and in 2011 or earlier for all other stocks under federal management, with a few limited exceptions (e.g. annual stocks). WHO IMPLEMENTS ANNUAL CATCH LIMITS? Regional fishery management councils are responsible for setting ACLs through development of fishery management plans or plan amendments. Fishery management plans or plan amendments approved by a regional fishery management council are submitted to the Secretary of Commerce for review and approval, disapproval, or partial approval. If approved, ACLs are implemented and monitored by NOAA Fisheries. HOW ARE ANNUAL CATCH LIMITS DETERMINED? For stocks that are assessed the assessment defines the OFL. Then each Council’s Scientific and Statistical Committee (SSC) then reviews the assessment and defines the ABC, which is the maximum allowable catch of the stock after accounting for scientific uncertainty. The regional fishery management councils then review the ABCs defined by the SSC, and define ACLs and/or ACTs. The councils may choose to reduce the ACLs and ACTs below the ABC to account for management uncertainty. Some stocks are not assessed because there is not enough information (e.g. landings, growth, reproduction) on the stock to complete a stock assessment. For stocks that are not assessed the SSCs typically review historical landings to define OFLs and ABCs. However, in some regions the SSC does not define OFLs for unassessed stocks, only ABCs are defined. The councils review OFLs and ABCs defined by their SSCs and then establish ACLs and/or ACTs for unassessed stocks. HOW ARE COMMERCIAL ANNUAL CATCH LIMITS MONITORED FOR STOCKS WITHOUT INDIVIDUAL FISHING QUOTAS? Dealers electronically report commercial landing purchases weekly. provides the NOAA Fisheries Service’s Southeast Regional Office (SERO) reported and expanded commercial landings estimates every week. SERO uses the commercial landings monitoring summary to determine in-season closures, postseason AMs, and ACL/ACT adjustments. Figure 2 provides a flow chart of the commercial landings ACL monitoring procedure for stocks without individual fishing quotas (IFQ). Figure 2. Flow chart of the ACL monitoring procedure for the commercial landings of stocks that do not have individual fishing quotas. WHEN ARE COMMERCIAL LANDINGS AVAILABLE FOR STOCKS WITHOUT INDIVIDUAL FISHING QUOTAS? Commercial dealers are required to submit trip tickets to the SEFSC online, once per week, by 11:59 p.m., local time, every Tuesday. The SEFSC investigates potential errors and tallies landings reports (as described above) after landings are reported. Landings are then provided to SERO from the SEFSC by the end of each week and posted to the SERO ACL monitoring Web page. HOW ARE COMMERCIAL ANNUAL CATCH LIMITS MONITORED FOR GULF OF MEXICO RED SNAPPER AND GROUPER-TILEFISH STOCKS WITH INDIVIDUAL FISHING QUOTAS? Landings of species managed by Gulf of Mexico IFQ programs are electronically reported to SERO by IFQ dealers. Landings are updated in real-time on the Catch Shares Website. Figure 3 provides a flow chart of the commercial landings ACL monitoring procedure for stocks with individual fishing quotas. WHY ARE COMMERCIAL LANDINGS ON THE SOUTHEAST REGIONAL OFFICE WEBSITE DIFFERENT FROM LANDINGS POSTED ON NOAA’S OFFICE OF SCIENCE AND TECHNOLOGY WEBSITE? The SERO site assigns landings to fishing year because some stocks have a fishing year that is different than a calendar year. For example, the Gulf of Mexico king mackerel fishing year is July 1-June 30, instead of January 1-December 31. OST’s commercial statistics Website summarizes all landings in whole weight. The ACLs for some stocks are monitored in gutted weight, therefore, SERO landings are provided in gutted weight for these stocks. The SERO site assigns landings to regional management council jurisdictions while the OST site assigns landings by water body (Gulf of Mexico, which includes the Florida Keys; South Atlantic). For example, South Atlantic black sea bass landings north of Cape Hatteras, North Carolina, are reassigned to the Mid-Atlantic Fishery Management Council. SERO landings for South Atlantic cobia include landings from both the Middle Atlantic and South Atlantic regions, and South Atlantic dolphin and wahoo landings include the entire East Coast of the United States. Additionally, confidential data may be omitted on the OST site. HOW IS RECREATIONAL ANNUAL CATCH LIMIT MONITORING CONDUCTED? Recreational landings include data from the Marine Recreational Information Program (MRIP), Southeast Headboat Survey (Headboat), Louisiana Department of Wildlife and Fisheries creel survey (LA Creel), and the Texas Parks and Wildlife Department creel survey (TPWD). Once landings are received by the SEFSC, they are checked for errors, any necessary weight estimates are generated, and the landings are combined into an ACL dataset for monitoring landings. Landings are then sent to SERO, where they are assigned to region and fishing year and used to prepare landings summaries, in-season quota projections and closure notices, and post-season AMs for season length adjustments. Figure 4 provides a flow chart of the recreational landings monitoring procedure for ACL monitoring. WHAT IS THE DIFFERENCE BETWEEN THE MARINE RECREATIONAL FISHERIES STATISTICS SURVEY AND THE MARINE RECREATIONAL INFORMATION PROGRAM? MRFSS was phased out and replaced by MRIP in a series of steps. MRIP provides a more scientifically sound methodology for estimating catch that removes the potential for biases when gathering data, resulting in more accurate catch estimates. In 2012 and 2013, MRIP implemented new methods for statistically estimating catches and conducting dockside intercept surveys and MRIP continues to conduct pilot studies to improve sampling protocols and effort estimation in order to provide the most accurate possible estimates of recreational catch. In 2015, MRIP plans to begin side-by-side comparisons of a new mail survey with their telephone survey to estimate fishing effort. ARE ALL LANDINGS MONITORED USING MARINE RECREATIONAL INFORMATION PROGRAM DATA? No. The transition from MRFSS to MRIP requires the fishery management councils to revise all ACLs because the landings estimates from MRIP are different than the estimates from MRFSS. Some ACLs have already been revised while others will be changed in future amendments. For those stocks whose ACLs have not been updated by the councils, a back-conversion is applied to the new MRIP data using a ratio of historical MRFSS and MRIP landings. The details of this conversion can be found in the MRFSS/MRIP Calibration Report (2012). WHY DO LANDINGS IN WEIGHT DIFFER BETWEEN MRIP AND THE SEFSC’S ACL DATASET? Occasionally, MRIP will generate numbers of fish landed without corresponding weight estimates or use weight estimates based on only a few fish samples. The SEFSC backfills missing weight estimates and pools additional samples when sample sizes are low, which results in differences in weights between MRIP and the SEFSC’s ACL dataset. Details of the SEFSC’s weight estimation method are provided in SEDAR 32-DW-02. WHAT RECREATIONAL LANDINGS ARE USED TO MONITOR ANNUAL CATCH LIMITS? Gulf of Mexico: Landings used to monitor ACLs include data from MRIP (or MRIP back converted to MRFSS if the Gulf of Mexico Fishery Management Council has not yet made adjustments to the MRFSS-based ACL), Headboat, LA Creel, and the TPWD. South Atlantic: Landings include MRIP (or MRIP back converted to MRFSS if the South Atlantic Fishery Management Council has not yet made adjustments to the MRFSS-based ACL) and Headboat. Additionally, special surveys are conducted by some South Atlantic states to monitor red snapper catches. WHEN ARE RECREATIONAL LANDINGS AVAILABLE FROM EACH DATA SOURCE? The different datasets that comprise the recreational landings are available at different times of the year. MRIP landings are generated by two-month wave, and are typically provided within 45 days after a wave ends (e.g., May-June landings are usually provided by August 15th). Headboat landings for species with in-season closures are typically available within 1 month of landing, and an annual summary of Headboat landings for all stocks is available by March of the following year. TPWD provides landings twice a year for low-use (November 21 to May 14) and high-use (May 15 to November 20) waves. TPWD low-use wave landings are available by fall (~October) and TPWD high-use wave landings are available in spring (~March). LA Creel landings are available approximately two weeks after landing. 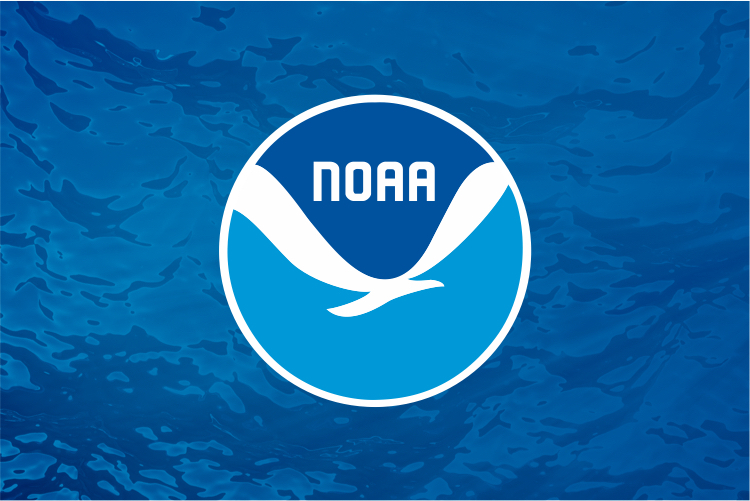 WHY MIGHT RECREATIONAL LANDINGS ON THE SOUTHEAST REGIONAL OFFICE WEBSITE DIFFER FROM LANDINGS ON NOAA’S OFFICE OF SCIENCE AND TECHNOLOGY WEBSITE? 1. SERO’s assigns landings to regional management council jurisdictions while the OST Website assigns landings by water body (Gulf of Mexico, which includes the Florida Keys; South Atlantic). For example, SERO reassigns recreational landings for black grouper, gag, greater amberjack, mutton snapper, yellowtail snapper, Nassau grouper, goliath grouper, snowy grouper, and blueline tilefish in the Florida Keys (Monroe County) from the Gulf of Mexico region to the South Atlantic. Also, South Atlantic black sea bass landings north of Cape Hatteras, North Carolina, are reassigned to the Mid-Atlantic Fishery Management Council. SERO landings for South Atlantic cobia include landings from both the Middle Atlantic and South Atlantic regions, and South Atlantic dolphin and wahoo landings include the entire East Coast of the United States. 2. SERO landings are summarized by fishing year. The fishing year for most stocks begins January 1 and ends December 31, but fishing years for some stocks do not follow a calendar year. For example, the recreational fishing year for South Atlantic greater amberjack begins May 1st and ends April 30 of the following year. 3. SERO recreational landings include Headboat, LA Creel, and TPWD landings in addition to MRIP landings. The OST Website only provides MRIP landings. 4. Many ACLs in the southeast region are still in MRFSS units. Landings on the SERO Web site report recreational landings back-converted from MRIP to MRFSS units if the ACL for a stock or stock complex is still defined based on MRFSS landings data. SERO provides landings based on MRIP if the ACL has been defined using MRIP landings data. The OST Website only provides MRIP landings. 5. Occasionally there are survey results which have estimates of landings in numbers but no information on length and weight. OST and SERO landings in weight are generated from different weight estimation procedures. OST looks for similar samples (same species caught in as close to the same area and time period as possible) where weight were available, and randomly selects them to fill in the missing values. They will select up to five weight samples from similar samples to fill in the missing information. If there are more than five fish missing both length and weight information from a trip then the length and weight information selected from the five similar samples will be applied to the remaining catch where length and weight information was not available. The SEFSC generates weight estimates for the SERO landings using methods which require a minimum of 30 samples from similar samples where weight was available to determine an average weight. Details of the MRIP weight estimation method are provided in SEDAR 32-DW-02. 6. The OST Website summarizes landings in numbers and whole weight. However, some of the ACLs are defined in gutted weight. If the ACL is defined in gutted weight then gutted weight landings are presented on the SERO Website.